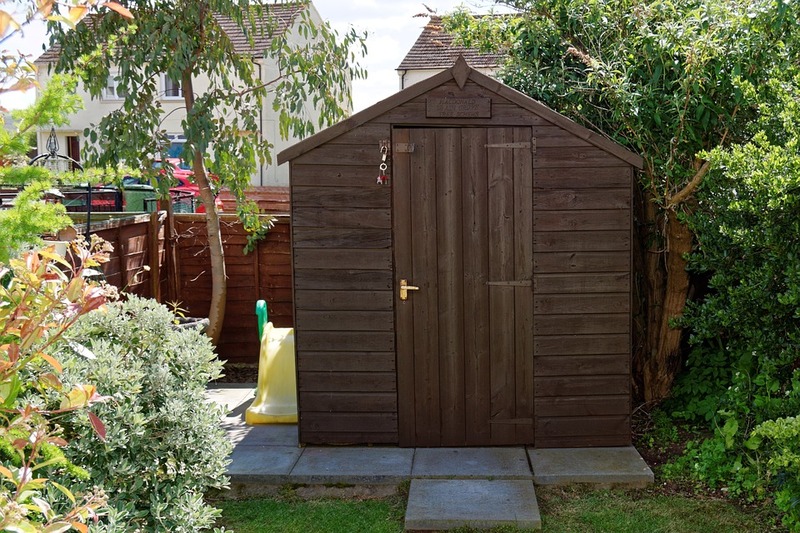 Building a shed is a straightforward and relatively easy project if you’re a keen DIYer. Thanks to the wide range of sheds you can no buy, you can build on in a few hours, rather than spending more time putting one together from scratch, Once you have bought your shed, follow these simple steps to building it. Although the components of the shed aren’t heavy, they can be quite awkward to maneuver so we advise that you ask someone to help you with this project, rather than trying to do it on your own. Getting the shed base right is crucial to the rest of your build going well because an uneven base will warp the frame of your shed affecting its structural integrity and how well the door and windows will open. To create a level shed base, there are a number of different options you can choose from including treated wood beams, an interlocking plastic base, or concrete slabs. The Ecodeck shed and building base if you’re looking for a reliable shed base that’s eco-friendly too – it even complies with S.U.D.S. regulations. Your first step before building your shed should be to ensure that the wood will last outdoors. You can do this by treating all of the wood with a good quality preservative. Although sheds usually come with a coat of preservative, it’s a good idea to add a couple of more coats to ensure that the wood will last for years, come rain or shine. Depending on which shed you bought, the floor panel may already be attached to the joints. If not, you’ll need to attach the joints yourself. To start with, lay out the joints on top of your shed base and follow the manufacturer’s guidelines for how they should be spaced out. Once you have evenly spaced out all the joints, you can then secure them to the floor sheet. After you’ve secured your shed floor, the next step will be to put up the wall. Begin by marking the centre point of each wall along its bottom edge as well as the corresponding point on the shed floor – this will make it easier to align all the walls when you put them up. Once you have done this, start by putting up the shed’s back wall first. While your building partner supports the panel, use a spirit level to ensure that it’s straight then fix it to the shed base. Repeat this step with the two side panels ensuring that they are fixed to the shed floor and to each other with three countersunk screws – at the top, middle, and bottom. The front panel and the door should be the last thing that you add, once everything else has been secured and leveled. If you are building a shed with an apex roof, ensure that the accompanying support bar is properly fitted before positioning the roof panels. For the roof panels, follow the manufacturer’s instructions for how they should be positioned and nailed into place, just make sure to leave and even overlap at each end of the shed. Next, roll out the roofing felt leaving an equal amount of overlap all around the roof and secure with felt tacks at 100mm intervals. Follow this by applying sealant to the outer corners of your shed before nailing down the corner trims. Your last step will be to put in the shed windows, once the rest of the structure has been secured and you are satisfied that it’s all level. Start by putting the plastic sills in the window frames, sliding them into the tongue and groove cut out. Follow this by putting the window cover strip in position and fixing it vertically to the frame with nails at the top, middle, and bottom of the strip. Next, place the windows into the from inside the shed, making sure that the bottom edge sits on the outside of the sill. To finish off, fix the window beading to the top and sides with nails. 8 Ways You Can Badly Spoil Your Career! Modest and trendy dresses available for Muslim women here! Have You Smartly Secured Your Home? Is Container Farming the Secret to a Healthier and Longer Life? © 2019 - eLiveStory. All Rights Reserved.